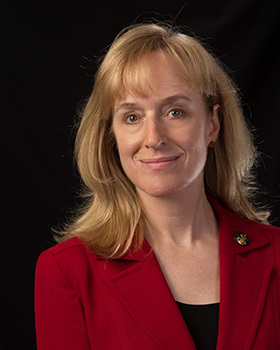 Susan Hammel, CFA, is MCF's first executive in residence. Focused on mission investing, Susan brings a wealth of financial expertise and cutting edge ideas to all MCF members. A mission (or impact) investment is made by a mission-based organization and designed to generate social and financial returns. Do you have a question or curiosity about mission investing but don’t know how to learn more? If so, Susan holds regular lunch and learns for MCF members. To learn more, please visit the event page of the MCF website. In addition, through her private consulting practice Susan holds monthly Social Entrepreneur Roundtables open to all with registration available via her website, www.cogentconsulting.net. Since starting her year with MCF, Susan has met with foundation administrators, board members and trustees. Open and approachable, she is eager to hear from you and welcomes conversations about how you can make a bigger philanthropic impact by aligning your mission with your many types of investments (grants and endowment). Susan has led recent mission investing initiatives for MCF, including co-founding the Mission Investing Network. Susan is a strategic financial consultant for philanthropic investors who focus on the double bottom line: financial return and social impact. Long a leader in impact investing beginning with Prudential Social Investments, she designed the $2 Million East Metro Job Creation Loan Fund for Minnesota Philanthropy Partners. She has managed impact portfolios and evaluated opportunities for diverse investors including Blandin Foundation, Ford Foundation, the City of St. Paul and The Minneapolis Foundation. A revenue generator as well as a financial expert, she helped the Women’s Foundation of Minnesota develop the business case for public investment in their high profile “Minnesota Girls are not for Sale” campaign. As former executive director of the Delta Dental of Minnesota Foundation and chief financial officer for Ashoka: Innovators for the Public, she is an experienced, results-oriented executive. She is respected in the philanthropic community, the nonprofit arena and the financial industry. A philosophy major who went to Wall Street, her unique background positions her as a translator able to connect the many disparate initiatives happening in the philanthropic and financial sectors. Who Knew We Have a Hotly Bubbling Twin Cities Investment Scene? Can Business Do Well and Do Good? The Executive in Residence program, new to MCF in 2016, enables seasoned experts to deepen their work on a topic, contribute thought leadership to the field, build philanthropic connections and turn concepts into opportunities for collaboration and action. In 2016 this program was made possible with a grant from the Bush Foundation.